If you favorite hobby is raising spiders and love to wear black the Wednesday Dress is for you. 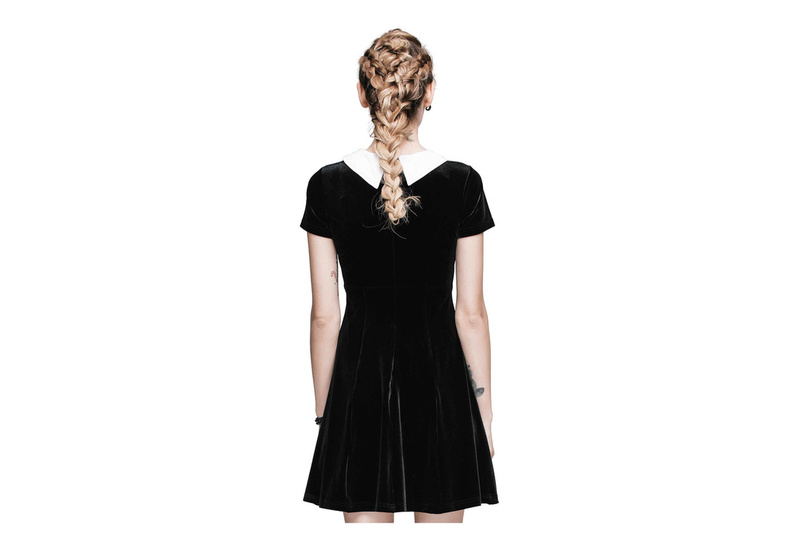 The Wednesday Dress is made from soft velvet with an iconic white collar, a bow around the waist and a hidden back zipper. I got this a week ago and I absolutely love it. Fits great and it is soo soft I could just die. Nice soft stretchy velvet, the buttons are white and that's only difference!